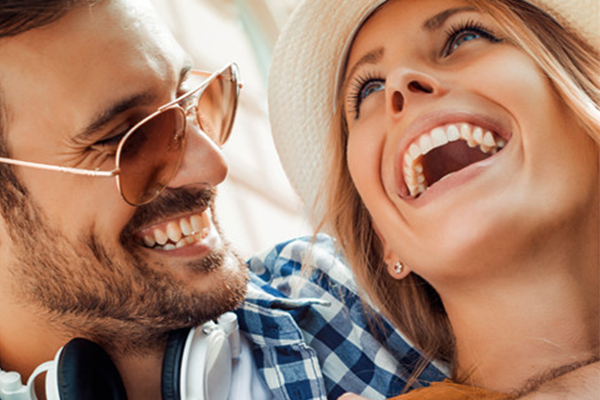 At Progressive Dental & Associates, we offer the All-on-4® procedure for patients that are looking for a convenient way to replace missing teeth. If you live in the 60443 area and have experienced tooth loss, we encourage you to visit our Matteson, IL office to discuss the many options available to you. Dental implants are well-known for being an extremely effective long-term solution for missing teeth and are widely used to fill single gaps in patient smiles. However, this revolutionary new technique is now also being used to replace entire arches of teeth, providing a successful and superior alternative to conventional dentures. All-on-4 dental implants are one of the newest and most innovative forms of arch replacement. Dental implants have a unique design and placement technique. Before you can be approved for any sort of implant procedure, you will need to have the quality and health of your jaw bone assessed. This is because the success of the procedure will hinge on a process known as osseointegration. Each dental implant has two key components. The first, a titanium post, acts as the root for the tooth or teeth. This is carefully inserted into the jaw bone. Once in place, the bone grows around it so that it is permanently encased. This is osseointegration. If the bone quality is poor, then osseointegration could fail and the implant could fall out. 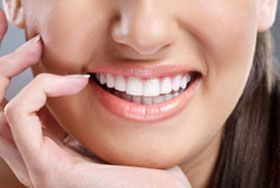 The second part of the implant is the visible portion of the tooth, which is created from a dental crown. This is then attached to the implant post using a connector. How are All-on-4 implants different from regular dental implants? All-on-4 implants offer patients the opportunity to replace an entire arch of teeth on just four implant posts. Ordinarily, anywhere between six and ten implants are required to successfully secure and maintain an arch. What makes it possible with All-on-4 is the way in which the implants are positioned. Conventional dental implants are placed at a 90-degree angle. However, All-on-4 implant posts are placed at a 45-degree angle which has shown to be stronger and more effective in locking the implants together. This means that fewer posts are needed to achieve the same level of security and durability as conventional implants. All-on-4 implants offer patients a variety of different advantages over other tooth replacement solutions, including conventional implant-supported dentures. Less invasive surgery since fewer implants need to be placed. Bone grafting is less likely to be needed since fewer implants are being placed. Less expense compared to the placement of conventional implant-supported dentures which are usually placed on between 6 and 8 implants. Osseointegration leads to the strengthening of the jaw bone, which can also add structure to your face and give you a more defined facial profile. Discomfort is said to be minimal compared to that experienced while receiving regular dental implants. A discreet, esthetic smile restoration that will be virtually identical in shape, size, and color to your existing teeth so that no one need ever know you have had dental implants. Restored functionality of your smile. A comfortable fit when compared to regular dentures. Fast recovery, enabling you to start enjoying your smile almost immediately. In most cases, the entire arch of teeth can be replaced in just one visit to our offices. Am I a candidate for All-on-4 implants? All-on-4® dental implants have a success rate of 98%. What this means is that you have a 98% probability of leaving our Matteson offices with a perfect set of teeth that are permanently attached to your jawbone. To discuss how successful the procedure may be for you, call (708) 980-0110. Typically, the surgery takes approximately two and a half hours per arch you can get your All-on-4® dental implants installed on your upper lower or both arches at the same time. The process of getting All-on-4® dental implants can be laid out in six simple steps. The first step is to have a detailed examination where we will look at your records, your existing conditions, whether you have a denture, what your facial structure needs are, and any other factors that could come into play when placing your dental implants. The second step typically involve CT scans, which are 3D pictures, of the jawbone including the position of the teeth to be replaced and giving us critical information about where the bone sinuses and nerves are located for the implants. Next, our dentist will create a computer simulation of the implants which are digitally positioned into the jawbone at the appropriate location to give you the most support you can get with your replacement teeth. All of this is adjusted as need be and allows for the fabrication of your new set of teeth. Finally, the most important step is the oral surgery. When you come in for surgery, we will provide you with anesthesia and then place the dental implants directly into your jawbone, so that your new set of teeth can be secured in place. At Progressive Dental & Associates, we can replace your teeth with this convenient and innovative procedure. To discuss the many benefits or to get started, call (708) 980-0110 and schedule an examination and consultation with our Matteson, IL dental office.